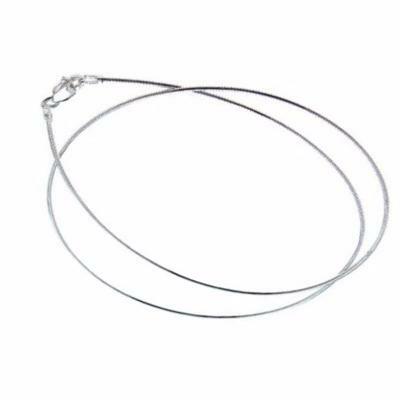 This chain is crafted in sterling silver and is flexible like a chain, but retain a round shape like a choker. Our Omega Choker Chains are available in different lengths. Perfect to accompany our pendants.